Award-winning video game designer Robin Hunicke visited Arts and Computer Science colleagues this week at the invitation of Arts Dean David Yager. Vivacious and highly focused, Hunicke has gained industry traction as an articulate and youthful advocate for women in game development. Currently finishing up a PhD in artificial intelligence and video games at Northwestern University, Hunicke spent the day at UCSC's Digital Arts Research Center exploring gaming opportunities for faculty and students alike at the intensive discussion. After the enormous success of Journey, an indie video game released last year by Hunicke's thatgamecompany team, she has moved on to form her own independent design group, Funomena. Edge magazine said the emotional arc of Journey hits with "occasionally startling power," and a Wired reviewer felt a "wide range of emotions... wonder, fear, even sadness," after encountering Hunicke's design. Robin Hunicke and her business partner Martin Middleton started Funomena as an independent game design company dedicated to the bold concept that games can have a positive impact on the world. An eight-year veteran of game design, Hunicke worked on The Sims2, MySims and Steven Spielberg's Boom Blox series before joining thatgamecompany as Executive Producer of the award-winning Journey. A key player in the male world of independent gaming, Hunicke is a vivacious evangelist for the creative and liberating powers of being inquisitive. And of bringing an alternative, i.e. female perspective to game design. She is a frequent keynote speaker at major industry festivals and conferences, such as the upcoming Boston Festival of Indie Games,where her talk Finding Meaning in Gameplay will stress the new interpretive and emotionally engaging power of gaming. Hunicke's indie brand brings a fresh, non-competitive, non-violent spin to the industry of gaming, and one whose influence is going viral. "I would never want to do anything else," admits Hunicke, whose designer carry-on bags are always packed and ready to travel. "With games, you don't have to choose. You can be interested in everything, and you can even re-invent yourself within game design—be the developer, or programmer, or visualist." 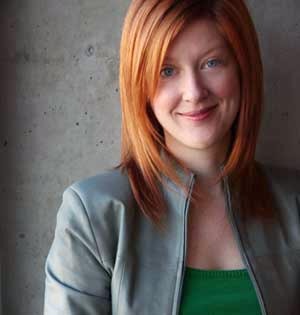 Hunicke admits that one of her key contributions to the emerging indie game market is communication. "I'm really good at creating shared understanding and shared vision." Her new company Funomena is focused on games "for people who are curious—games that increase our understanding of the world and each other, that make the world a better place." Funicke admits she "wanted to make games meaningful, and individually expressive and dynamic. I think these games are highly personal—the designers today put themselves, and their emotional experiences into this." Her online bio notes that she's "interested in how notions of fate, meaning and consequence can be communitcated via video games." No this isn't your father's Nintendo. Based South of Market in San Francisco, the emerging company—supported in part by grants from NSF and UC Davis, as well as royalties from Journey— consists of the two partners and three collaborators, who will, Hunicke promises with a sly smile, "announce something new very very soon." "Right now is an amazing time to be a game developer. We can make games that reach people. We're moving the mission forward." Hunicke recalls the "great response" enjoyed by award-winning Journey. "People spoke of having genuine moments of connection with others when they played, even though there was no actual communication, or text involved. "The point was to keep it anonymous and mysterious. Only at the end did people get to know who they played with. It was about exploring and making their own way." She unhesitatingly invites other women to join the game development adventure. "They can provide new perspectives. The people involved in gaming now are people who believe that game creativity can make a difference in the larger world." "The important thing is to develop the work and release it into the world. You'll find out quickly how successful it will be through the magic of the Internet." Another of Hunicke's core beliefs is that games can be much more than simply fun to play. "Now is definitely a cultural moment, and I would absolutely advise women to jump in—and to follow your bliss. There's no curriculum you need to follow to get involved," she maintains. "If you want to express an idea, and craft an idea, that's really what you need." Hunicke's advice to potential game designers is to "get out and see the world, have a life — be curious!"